At Professional Movers.com we specialize in pick-up and delivery services for medical suppliers, laboratories, hospitals and physicians throughout Southeast Michigan. Our delivery service options include: dedicated, STAT/RUSH, temperature sensitive, contract distribution, routed, and home patient deliveries. Our business focuses on the specific delivery needs of the healthcare community. From dialysis supplies to medical exam tables and pharmaceutical products, we are experts in providing cost-effective, safe, and OSHA /HIPAA compliant transport of your items. By working with Professional Movers.com, you are not just hiring a delivery service. You are hiring a company that you can trust your deliveries and your company’s reputation with. We are dedicated team of delivery specialists who operate much like your in-house fleet – but without the headaches and the overhead. Your company will enjoy significant cost advantages versus maintaining an in-house fleet, including savings on personnel expenses like salaries, overtime costs, healthcare and retirement costs. Additionally, ongoing vehicle expenses such as lease payments, gas and tolls, parking expenses and insurance are avoided. The bottom line: Professional Movers.com dedicated fleet will significantly improve your bottom line. We will coordinate and provide your deliveries so you don’t have to. This lets you and your management team focus on what’s really important — growing your business. Do you like being in charge and dealing with professionals who know how to keep promises? Then you will be in good hands if you choose Professional Movers.com. When you contact our office, a machine won’t answer your call. Instead, one of our friendly and intelligent customer service representatives will be ready to answer your questions and scheduled your delivery. Professional Movers.com operates on a belief that strong operational process and procedure in addition to in depth training leads to quality customer service. We are constantly educating our workforce on industry and customer specific issues for medical deliveries. In addition, we utilize a specialized staff and consultants to assist with method and service analysis, training and development, Protected Health Information instruction, chain of custody procedures, and customer service. Our personal service assures quality. We’re not too large, allowing us to know our customers very well – but we are also not too small to handle many deliveries at a moment’s notice. Politeness and care are important to our customer representatives and our drivers. No matter how big or small your delivery service needs are, our drivers and our representatives always have your best interest in mind. Perhaps that is why Professional Movers.com was recognized in 2008 in Corp Magazine and in the Customer Service Book, “Who’s your Gladys” for having served customers needs in epic proportions. We cherish our customers and value the relationships we have with our customers. If at any time there is a mistake or a problem, we fix it. We fix it fast and we make any and all necessary changes to make sure it doesn’t happen again. At Professional Movers.com we pride ourselves on being able to develop tailored delivery solutions to any problems our customers face. It starts with a transportation analysis from one of our delivery consultants. He will work with you to uncover your specific delivery requirements. Then he will rely on our 30 years of industry success to create a solution that addresses your specific security, logistical, and budgetary needs. We our consultant provides a recommendation, you can be sure that his suggestions wiill lower your shipping costs and improve the quality of your deliveries. Dedicated Daily Deliveries – The premier choice for hospitals and medical supply companies who are in need of daily, reliable deliveries to their customers throughout the Michigan with special low-cost focus in Detroit Metropolitan Area. You’ll never have an unfamiliar face coming to your door since the same courier is assigned to your business each and every day. Professionally attired and prominently displaying their I.D. badge, our dedicated delivery driver knows your location, your staff, your clients and their staff, your delivery routes, your pick-up windows and your special needs. Our delivery drivers will quickly become an integral part of your operations and your team. Pre-Planned Routed Deliveries – Our delivery experts will pre-plan delivery routes to ensure that your packages are delivered in an established time sequence. This is a perfect solution for wholesale pharmaceutical suppliers that need to have their products delivered to pharmacy chains. We continually monitor and optimize our planned routes for delays and security breeches to make any changes required to ensure your deliveries are on-time and without unwanted exposure. Home Patient Deliveries – Our delivery teams will deliver medical supplies to your customer’s homes. Deliveries will include inside delivery to their desired location. This includes upstairs or downstairs deliveries. If there is any current or existing stock, our delivery drivers will help rotate stock. Contract Distribution – We offer contract distribution, allowing forward cost planning, with contract rates in place for a fixed period. Retail, Distribution, Wholesale, or Manufacturing whichever field of business you are in, we can supply an answer to your courier needs. This is a perfect solution for a suppler of medical equipment who need to have their items delivered and installed inside hospitals or medical offices. Hourly Hire Deliveries – From cars to full 53’ foot semi trucks our versatile fleet of delivery vehicles can cater to your needs. Perfect for larger loads, flatbed, and pallet work. We understand the critical nature of your business and how important it is to follow explicit processes and procedures. As a leader in medical delivery we set the standard for industry’s strictest hiring guidelines for drivers. Each of our drivers are experienced in medical delivery processes and procedures and have a served a minimum of one year with our organization before they are assigned to a medical delivery account. All of our drivers are pre-screened before being hired and have to attend and pass a comprehensive safety orientation. In addition, each and every one of our drivers has undergone a rigorous background check. In addition, our delivery drivers partake in a random drug screening program that is managed by an outside 3rd party evaluator. As an added peace of mind, all of our drivers are required carry a picture ID and wear Professional Movers attire including hat, shirt, and jacket. We possess one of the largest and most qualified pool of fully licensed, uniformed, and insured drivers including: CDL-A, CDL-B, and chauffeurs. Each of our drivers is trained in the understanding and compliance of OSHA and HIPAA regulations and delivery. We even have specialized drivers with hazardous materials endorsement to transport your more sensitive shipments. 2 Small Ice Chest Cooler with Locking Lids – Such as an igloo “playmate”. The ice chest is labeled with florescent orange biohazard stickers. One is for dry ice and the second is for “wet” ice. This allows our drivers the ability to transport temperature sensitive and medical specimens at a moments notice. 2 Frozen Ice Packs – This allows our drivers the ability to transport temperature sensitive and medical specimens at a moments notice. A spill clean-up kit – This includes (1) pair of surgical gloves; (2) large zip lock bags, (1) red biohazard bag, (2) cardboard scoops, (1) package of antiseptic wipes, a spill cleanup procedure list. At any given time, we have a mobile fleet of over 50 drivers located throughout Oakland, Macomb, Livingston, Washtenaw, and Wayne Counties ready to provide medical delivery services. This enables us the ability to typically arrive to most of our pick-up locations within 1 to 3 hours of when the initial online or phone order is placed. And, with special parcel trackability in place, your crucial chain of custody is carefully maintained through the entire pick-up and delivery process. Our diversified fleet of cars, vans, cube trucks, straight trucks, flat bed trucks, lift gate trucks, refrigerated trucks, and semi’s guarantees resourceful delivery depth. From 1lb. to 44,000 lbs., we are versatile and capable of delivering anything and everything. As a result, we are often called upon to deliver something as small as a vial of blood or as big as cat scan machine. Professional Movers.com employs some of the most advanced delivery technology by integrating industry specific, operations software that allows for GPS driver tracking, scanner integration, and real time tracking of proof of delivery information and route progress. This means that we ensure uncompromised security for all your healthcare delivery requirements. Through our dedicated team of delivery drivers and dispatchers interconnected through advanced technology, your “chain of custody” is carefully and continually maintained throughout the pick-up and delivery process. It starts with our route optimization software that is used to improve and narrow delivery time. Each of our deliver drivers are pre-routed to maximize performance, efficiency & reliability, however if at any time they are delayed due to traffic or construction our optimization software will recalculate a new route to minimize any delays. Throughout the delivery process our customer service staff is in constant contact with our delivery drivers to monitor delivery progress and can relay you with up-to-the-minute status reports. Communication is a top priority at Professional Movers.com. With GPS, mobile traffic updates, 2-way communication, online order entry, and e-mail order tracking, you are kept aware of the progress of your package or freight. We have also provided the technology for our customers to receive scanned proof of delivery information by email or fax. The result -the status of your pick-up or delivery is never, ever in doubt. The Bottom Line: Reduced costs, increased accuracy and real-time information deliveries for better decision making. We understand the importance of fast pick up and delivery because sometimes getting your package there is a matter of life or death. In 2008-2009, 99% of our same-day medical deliveries arrived on-time. 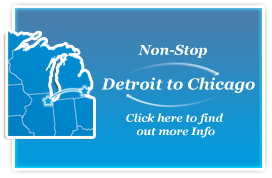 Whether it’s Livonia to Detroit or across the street or across the state, we understand that any delay can cost you dearly. That is why we do as much pre-planning as possible to ensure your package arrives on-time, every time. We understand that a customer’s trust and confidence in our company is not to be taken for granted: to us it is a serious responsibility. At Professional Movers.com our fleet of vehicles are subject to frequent preventative maintenance and annual DOT inspections. This enables us to be ready to pick-up or deliver your items at a moments notice. Further, our drivers are equipped with GPS and mobile traffic updates that allow them to alter their routes to increase time efficiency and dependability. Let Professional Movers.com take care of your medical deliveries. We have an impressive list of clients that include many of the Detroit Metropolitan Hospitals and medical suppliers. What is most impressive is that that more than 75% of our customers have been doing business with us for more than a decade. That means that they are not only satisfied with our services but because we offer such a cost effective delivery solution for their organization, we have helped play a small part in each of our customers success. We welcome your calls. Contact us today at 248-926-9999 for more information on our medical delivery services. Our team of experienced transportation professionals would be happy to help you analyze your delivery needs, or prepare a quote based upon your specifications.